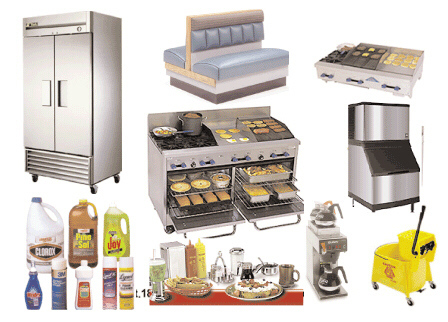 Kitchen supplies are the most basic need of every food business. If you are planning to open some type of food business, like restaurants, bakery or canteen, you should know what the different types of kitchen supplies are and how they are used. By knowing about them, you will better understand them. It is useful when you open the business and actually have those gadgets. You can then know easily how to operate them. You can also correct any minor problems with them. You can teach your staff how to operate them and also you clean and maintain them properly. Therefore, before entering the business, you should have a good idea about the kitchen equipment, you will own. The most necessary category of food business is cooking equipment. 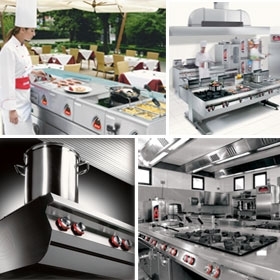 Ovens, cooking ranges, grills, fryers, pasta cookers, kettles, braising pans, mixers, food processors, colanders, mortar and pestle, steamers, various types of pans, pots, spoons and utensils, pastry brushes, strainers, whisk, zesters, and food rethermalizers are the types of kitchen supplies needed in the cooking process. In fact, there are a lot of other types too, but here only the very basic types have been considered. Some of these have names that tell their uses, while some have entirely different names, from which one cannot easily understand their functions. Ovens are the baking gadget as we all know. There are different types of ovens too. Besides the conventional ovens, which we use in our homes, there are convection ovens, masonry ovens, conveyor ovens, rack ovens, microwave ovens and OTG, i.e. Oven Toaster Grill. There is also a combination of convection and microwave oven. All these bake or grill food with increasing efficiency and convenience to the user. We also know about the cooking ranges that they are used for cooking. Their types are free-standing style, drop-in style, slide-in style, gas cooking ranges and electric ranges. We know the uses of grills, fryers, pasta cookers, kettles, braising pans, mixers and food processors, either because their names are suggestive what they do or we use them commonly at our homes. Colander is used for washing foods or draining liquid from solid food item. It is a bowl with holes at its sides and bottom. Pastry brushes are used for spreading butter or cream or any other semi-liquid substance over solid food like bread or a cake. Strainers are used either to drain liquid from the solids or to remove pieces of solids from liquids. Whisks are mixers, but are operated by hand. Zesters are used to peel off the citrus fruits and making thin strips of the rind. There are many other kitchen supplies you need in the business. They are ice machines, storage units, shelving carts and racks, dining equipment, flatware, cleaning equipment, waste receptacles and so on. Ice machines, refrigerators and freezers are used to make ice and keeping food items like ice-cream, soft drinks, etc. cool. Storage units are used for storing the delicate as well as sturdy gadgets in place, so that they are not lost or damaged. Shelving carts and racks too are more or less the same purpose, but they are mostly open to facilitate their easy removal. Dining equipment and flatware include the cutlery items, like dishes, spoons, knives, bowls, etc. Cleaning equipment include dishwashers, utensil-washers, sinks, and so on. And waste receptacles include different types of garbage bins and other containers, which are utmost necessary to dispose off the wastes which gets accumulated every now and then in a commercial kitchen. By knowing the types of kitchen supplies, you also get a better idea, about which of them you will really need, while starting the business. So go through them, think on them and set a budget, which will definitely help you.